Presidential candidate Mitt Romney, and his business partners at Bain Capital (a corporation he co-founded) that is dividing the nation and sending its industries to China where the former governor of Massachusetts runs sweat-shop operations paying his employees less than $1 an hour and there is an attempted suicide every day, with hundreds of Chinese at Foxconn (that manufactures gadgets for Apple, Sony, Nintendo and HP, among many others; 18 threw themselves from the roof in 2010, with 14 ending their existence of misery working for Bain Capital subsidiaries) and others working in iPad factories threatening mass suicide and are forced to sign agreements not to end their lives and thereby cut back of production and meeting factory-set goals, extorted windfall profits during the 2008-2009 economic crisis through their control of the key General Motors parts supplier, Delphi. support to American workers who refuse to work for less–as demanded by USA millionaires and billionaires who do not put up safety nets for their employees who threaten suicide as is common in China. While Romney claims that the American auto industry is dying and no one will have jobs if Obama is re-elected, the opposite is proven true in corporate profit reports. 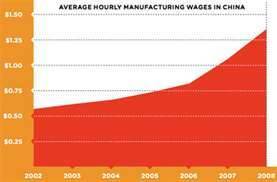 Chrysler’s profits have risen every year, with its best year being in 2012, following the Obama bailout, contrary to the lies of Romney and the Republican/Tea Party. Chrysler’s CEO Sergio Marchionne said that it would have been “impossible” for Chrysler to get financing from the private markets in 2009. 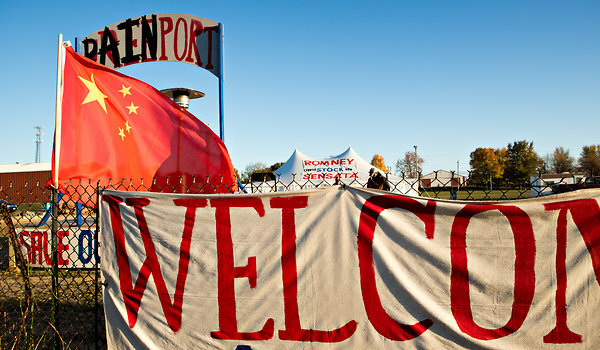 Today, Romney is moving the Sensata factory in Freeport, Illinois. It is a part of Romney’s goal to restructure the USA. Sensata is owned by Romney founded Bain Capital. Bain Capital’s primary purpose is outsourcing American jobs so that major retailers can buy cheaper goods made in China or other Indochina nations and sell back to USA consumers at the customary rate so that their profits are greater–while American labor earns less (and ultimately will buy less). Bain Capital justifies this oxymoron as being in the “Spirit of Capitalism“–to help the 1%. Bain Capital developed Sensata in 2006 to develop, manufacture and sell sensors and controls for major auto manufacturers such as Ford and General Motors is being closed, employees fired and the company is being moved to China, and putting 170 employees out of work. 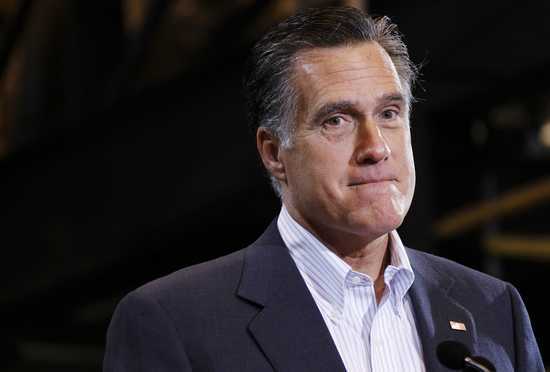 A congenital liar (read here and here and here and here with the Washington Post giving Romney four Pinocchios; cp. here, for his plethora of lies), Mitt Romney, barking he did not have a voice in the outsourcing, claims that he left Bain in 1999 and has had no role in outsourcing American jobs. This additional fantasy fabrication has been disproven by the Securities and Exchange Commission (SEC). We work at Sensata Technologies in Freeport, Illinois — a company owned by Bain Capital, which you started, ran, and still profit from. We are not going down without a fight. We join together today to call on you to save our jobs. We know that you can take action to stop the offshoring of our jobs. You are running for President, promising to create good jobs. You can start keeping that promise today, by stepping in and saving our jobs. We are standing strong together, and our numbers are growing. We are reaching out to our community and to the American people. Together, we will make our voices heard. We are standing up not just for ourselves, but for all the working people who have had their jobs outsourced or offshored. We are standing up for everyone who is struggling to find a good job in America. Please consider our appeal and take a real stand for the good jobs we all need by stepping in and stopping our jobs from being sent to China. (Rock River Times July 18-24 issue, also read here and here and here). ASIMCO, an auto parts maker with plants in Beijing and elsewhere in China (especially dotting eastern China), bought two Michigan factories with 500 workers but shut them down in 2007 with the approval of Mitt Romney. 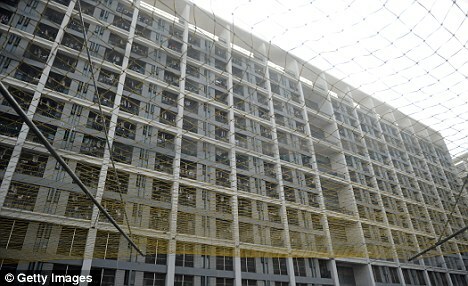 It is a part of Bain Capital, having been bought by Bain Capital for $150 million with the blessing of Communist China. A Zhengzhou outlet of Gome Electrical Appliances, a major Chinese retailer that Microsoft has accused of selling computers with pirated software. is part of the portfolio of Bain Capital that invested $234 to $300 million (accounts vary) in Gome in 2009. 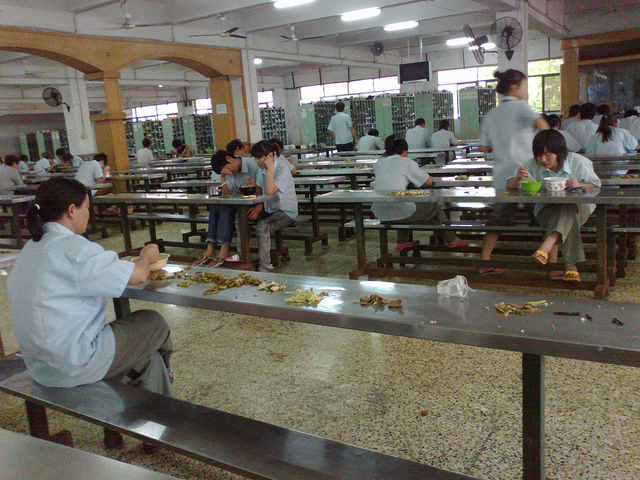 Today Bain Capital and Romney owns it outright, paying less to its employees than any other slave-labor industry within mainland China. 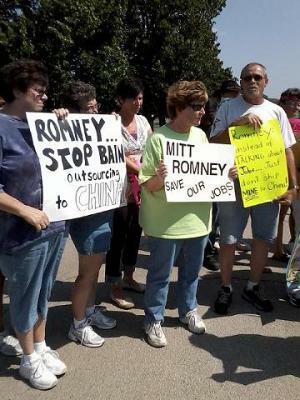 There is no concern shown by Romney nor Bain Capital for the jobs outsourced from the USA to be taken over by underpaid Chinese labor. Sensata has been closed and Bain Capital is moving most of the equipment and jobs to Jiangsu Province, where the Chinese government has built it a new plant and still saw it as “vulture capitalism”–and Bain and Romney made uncounted millions of dollars (video and text here)–most of which Romney secreted in a Chinese bank or in vaults in the Cayman Islands. Romney refuses to release tax returns, as some, in the past showed little income while his most recent did not acknowledge that he lived in the USA (Romney said it was an accountant’s mistake as he never reviews his tax returns–which federal law and IRS regulations required (page 2 of Form 1040). Worse yet is Romney’s lie that Ohio is better off without the Obama bailout—although 5000 jobs were created and 17,300 were saved by the bailout. 80 of Ohio’s 88 counties have manufacturing facilities related to autos, and by 2011, taxpayer loans were repaid with a reborn GM replacing Japanese manufacturer Toyota in 2011 as the world’s No. 1 automaker. After the bailout that Romney decried, GM remains globally competitive. The tragedy is the unscrupulous and reprehensible gouging and feeding of Romney and Bain Capital on what they considered to be the dying carcass of GM. 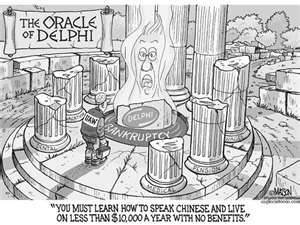 Mitt Romney and his partners made a killing on the GM bankruptcy by gaining control of bankrupt parts supplier Delphi, then threatening to withhold components critical to the production of GM vehicles. Romney’s business partners were willing to force GM into liquidation and cause a national economic calamity unless they got more money. In the end, the Romney investor group that the former governor chairs got what it wanted and earned a profit of more than 3,000 percent on its initial investment—an action that is illegal at the federal level as the government requires full disclosure of stock holdings affected by any government funding. Mitt Romney attempted to get around the federal disclosure law by putting on all related federal documents that his wife Ann had invested $1 million (or more, as federal law only requires the first million of any investment to be recorded; ref. Ethics in Government Act, 5 U.S.C. App. § 101 et seq). Ann Romney has a long and dark history of being a shield for illegal Romney moves in the world of Bain Capitalism, with money hidden in many foreign banks and off-shore accounts. 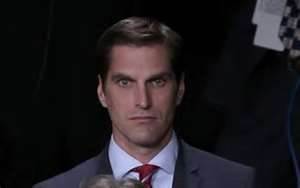 Romney has even used his son Taggart, who is more devious and less concerned about the disappearing middle class than even his father, to set up “blind” trusts and foundations, as with the Solamere Founders Fund. One of the greatest IRS swindles involves the Sankaty High Yield Asset Investors Ltd., an entity based in Bermuda, that Mitt Romney set up in 1997 and transferred to Ann Romney’s blind trust in January 2003. In securities filings, it’s called “a Bermuda corporation wholly owned by W. Mitt Romney,” but Romney failed to disclose it on several financial disclosure forms until he listed it on his 2010 tax return. 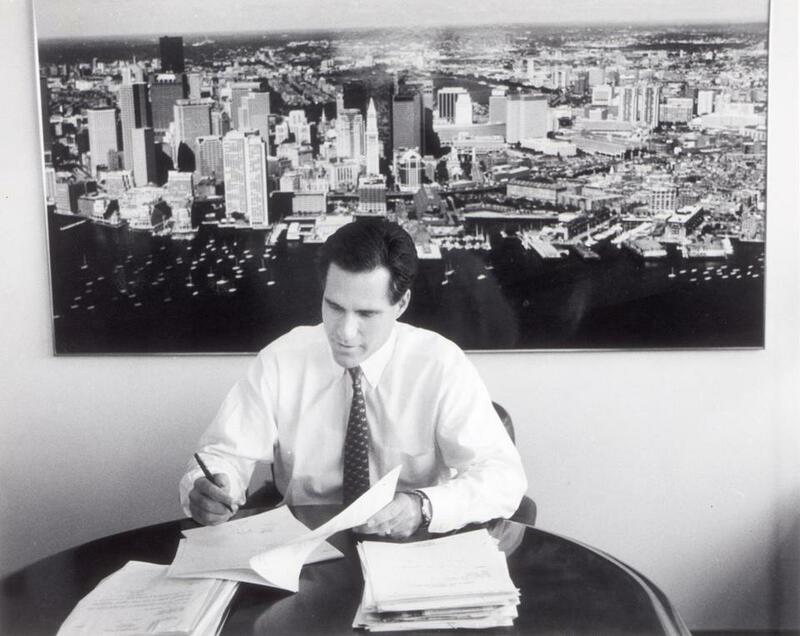 On October 17, 2012, The Nation Magazine reported that the Romney family personally profited at least $15.3 million from the auto bailout of 2009. Now, just before the election, Romney closed Delphi while demanding that Delphi’s workers vote him president of the USA (see Delphi’s attempt to save workers and their pensions while facing Romney and Bain Capital opposition) even though GM “provided a significant incremental liquidity necessary for Delphi to continue operating” that did not win the approval of Mitt Romney (paragraph 11 of Delphi’s Chapter 11 Bankruptcy Case No. 05-44481 (RRD) United States Bankruptcy Court Southern District of New York: DECLARATION OF JOHN D. SHEEHAN IN SUPPORT OF PLATINUM EXPENSE REIMBURSEMENT MOTION). 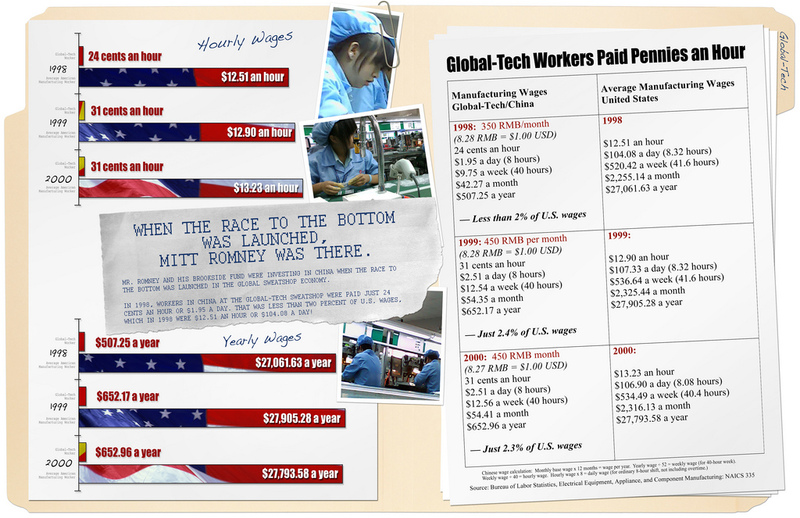 Romney’s goal is to transform (actually transmogrify) USA labor to the same standards as his slave labor in China. This was absolutely chilling! I’ve been ill, and have missed reading the most recent of Dr. Ide’s blogs, so I had no idea how close to disaster we came with this presidential election. After reading this, I’m especially grateful President Obama won a second term. Dr. Ide’s blogs are always informative, well-documented, and riveting. Now I just have to catch up with the ones I’ve missed!